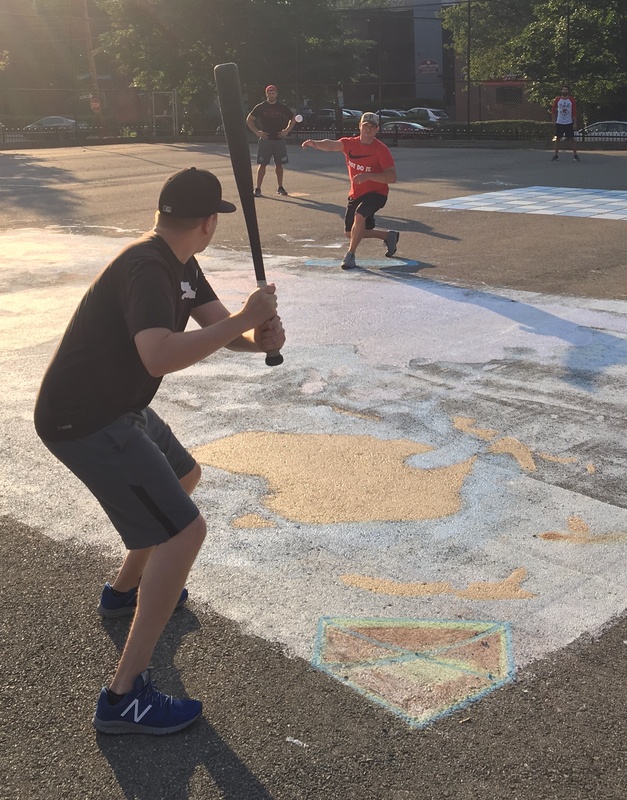 For the second time in the past three years, Cookies & Cream climbed out of a 2-0 hole in their best-of-five first round series, this time beating the Ham Slams in games three, four, and five to earn a berth in the Wiffle Series against Questionable Outfit. Jordan was electric on the mound, pitching a complete game shutout while allowing only two hits, and Dinger and Joey each had three hits for Cookies & Cream. 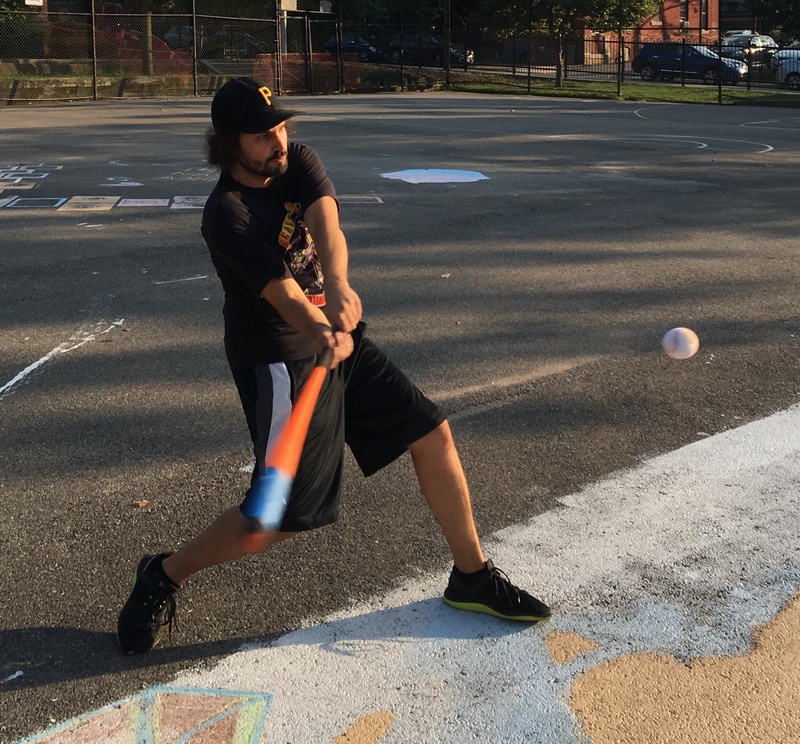 A combination of timely hitting and great fielding helped Cookies & Cream pull off the improbable comeback, and the Ham Slams (who played game five shorthanded) will look to next season to finally escape the first round of the playoffs. Jordan retired the Ham Slams in order in the top of the first, including a strikeout of Dustin to end the inning. Cookies & Cream would get him some run support in the bottom half of the inning. Joey led off the game with a double, and Erich followed with a double, putting runners on second and third with no outs. Dustin, the Ham Slams starter, got Jordan to ground out to left for the first out, and Joey scored on the play to make the score 1-0. Dustin then got Dinger to fly out to the mound to end the inning, stranding Erich at third. Jordan cruised through the top of the second, retiring Josh and Steve in order. Joey led off the bottom of the second with his second double of the game, but Dustin clamped down, retiring Erich and Jordan, and the score remained 1-0 through two innings. Dustin led off the top of the third with a triple, and when Josh flew out to right, it looked like the Ham Slams would even things up. Dustin tagged up and raced toward home, but was called out after Dinger gunned the ball into the mound. Cookies had recorded a double play and escaped the inning with a one-run lead. Dinger started the bottom of the third with a single, but once again Dustin wouldn’t allow Cookies to extend their lead. He retired Joey and Erich in order, ending the inning. Jordan retired the site in order in the top of the fourth, sending Steve and Dustin down consecutively. He would get one more run from his offense in the bottom of the fourth. With one out, Dinger singled, and he moved from first to third when Joey followed with a single. With runners on the corners, Erich singled, scoring Dinger from third, and Cookies & Cream led 2-0. Jordan came to the plate with runners on the corners, but Dustin stranded two more Cookies & Cream runners, getting Jordan to fly out to left, ending the inning. Down 2-0, the Slams continued to struggle on offense. Josh and Steve were retired consecutively in the top of the fifth, and the score remained 2-0. Dinger singled to start the bottom of the fifth, his third in as many at-bats. Two batters later, with one out, the Ham Slams issued the first intentional walk of the 2017 season, giving Erich a free pass to first. Cookies & Cream had one out and runners on first and second with a chance to extend their lead. But once again, Dustin avoided damage, retiring Jordan to strand both runners, ending the inning. 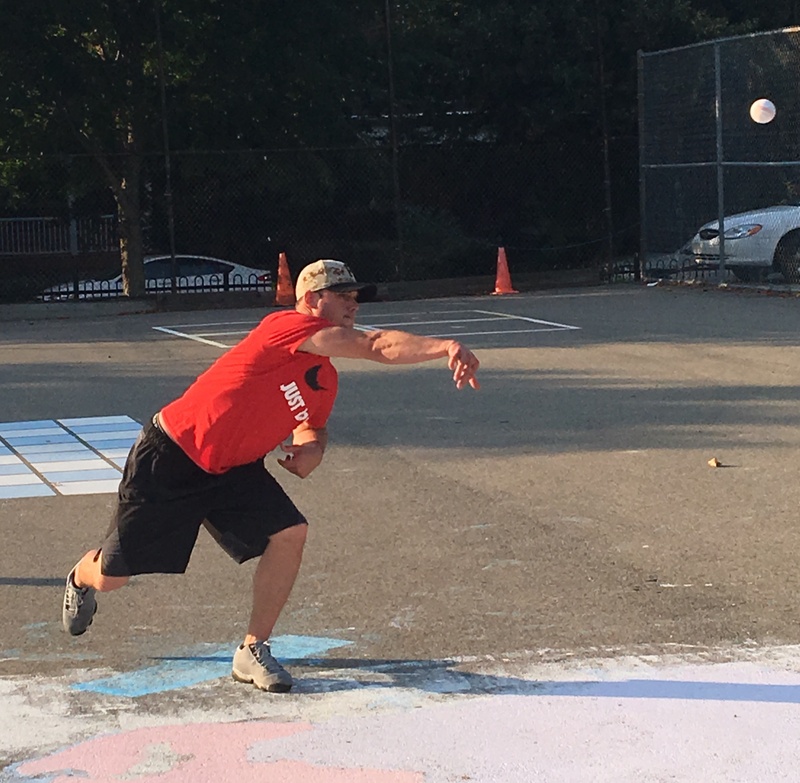 The Ham Slams had led the series 2-0 and were one win away from advancing to the Wiffle Series, but trailed 2-0 in game five and down to their last at-bat. Dustin led off the bottom of the sixth with a single, the Ham Slams second hit of the game. The Slams had the tying runner at the plate with no outs. Jordan remained on the mound, and he retired Josh for the first out of the inning. Steve, the Ham Slams best hitter in 2017, came to the plate with a chance to extend the game, but Jordan came out on top yet again. He got Steve to groundout to center, ending the game and the series. 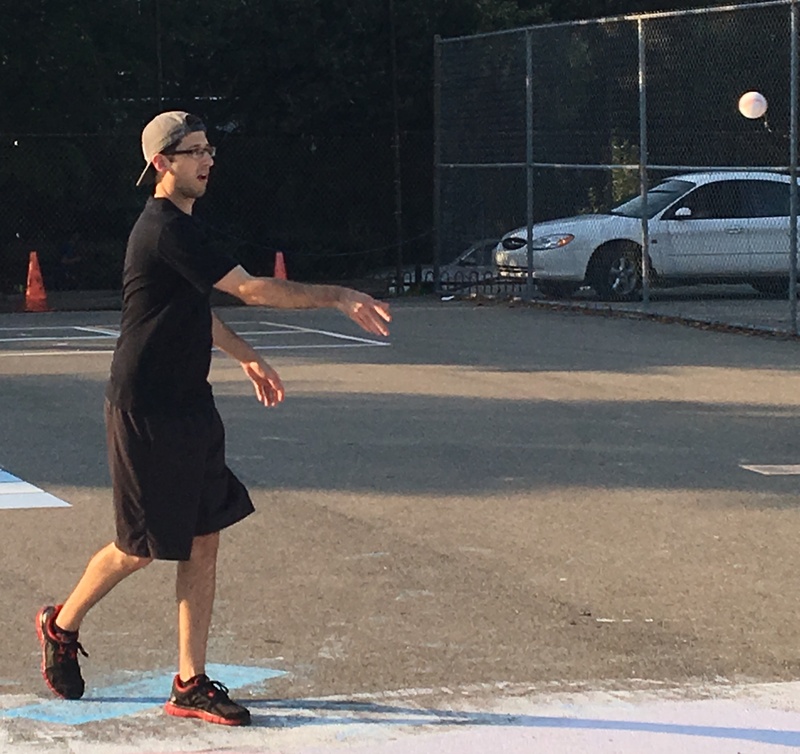 With the win, Cookies & Cream had completed another first round comeback, topping the Ham Slams 3-2 in the best-of-five series and advancing to the Wiffle Series for the fifth season in a row. – Jordan pitched the complete game shutout win for Cookies & Cream, allowing only two hits and striking out one. – Dustin took the loss for the Ham Slams in a complete game effort, giving up two runs on five hits in six innings. – Joey led Cookies & Cream on offense, going 3-for-5 with a single, two doubles, and a run scored. – Erich went 2-for-4 for Cookies with a single, a double, an RBI, and an intentional walk. – Dinger also went 3-for-5 for Cookies & Cream, with three singles and a run scored. – Dustin had both of the Ham Slam hits, going 2-for-4 with a single and a triple.